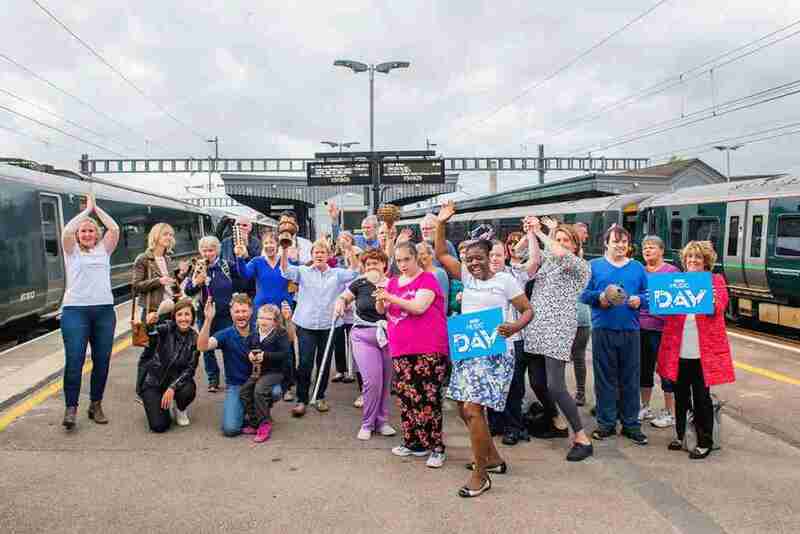 Participants of all abilities from the charity Soundabout’s music-making community joined the Jericho Singers from Oxford for a relaxed ‘jamming session’ on Didcot Parkway station to mark BBC Music Day 2018, thanks to support from GWR. Soundabout works with children, young people and adults with severe and complex disabilities to express themselves through music. The event, which included groups from the Home Farm Trust, Access to Sound, Guideposts, My Life My Choice and Bishopswood School were part of BBC Music Day’s ‘Platform to Perform’ initiative, which saw choirs singing their hearts out on stations up and down the country. Donate here.